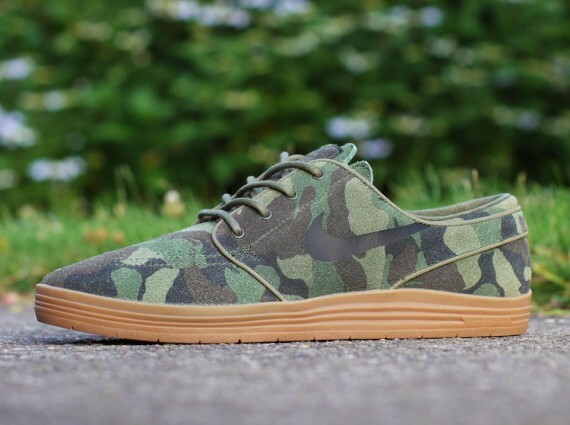 The recent Nike SB Lunar Janoski version looks to receive a new overhaul with this Camo colorway that we can't be mad at in any way. This gum soled lunar skate freshness features the timeless Janoski upper but with an all over camo print. The star of the show for us however is the gum lunar sole. We can't remember the last time if ever that we saw a gum lunar sole on any shoe and it makes perfect sense that it makes its debut on a skate shoe. Look for these to drop sometime in July at most Nike SB retailers worldwide.